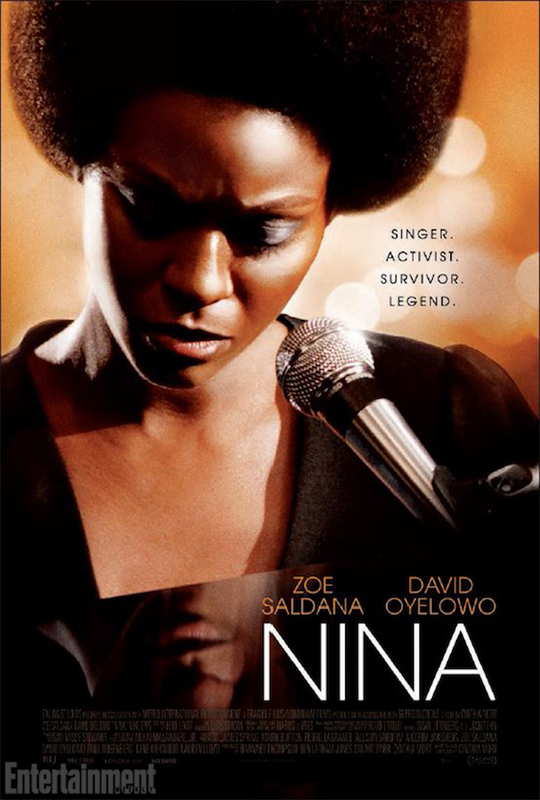 The long-awaited Nina Simone biopic Nina has been plagued with controversies and false starts. The film initially had Mary J. Blige attached in 2010, but it was controversially recast with Zoe Saldana in the titular role. As NPR reported in 2012, Saldana's role in the film caused an uproar due to her skin-tone, which is much lighter than the iconic singer's. Nina Simone's daughter Simone Kelly also told L.A. Weekly that she didn't approve of the film. Either way, after a long wait, Nina is finally set for a release in April. With that announcement comes our first proper taste of the film via a poster (available above) and a trailer (available below, via Entertainment Weekly). Along with Saldana, the film stars David Oyewolo. It was written and directed by Cynthia Mort, and will arrive in select theatres and on video-on-demand on April 22. Hear Lady Gaga Cover Nina Simone's "Don't Let Me Be Misunderstood"